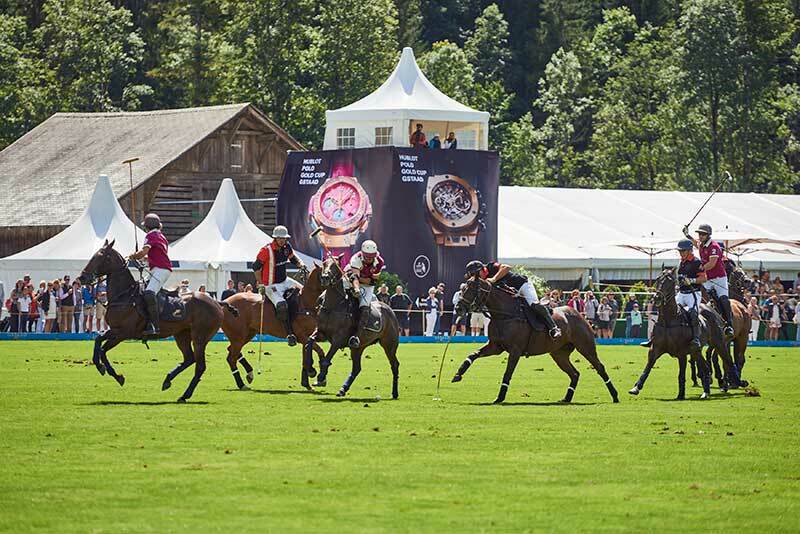 From the 17th to the 20th August 2017, Gstaad and the surrounding fields of its airport were transformed into Argentinian-style pampas. 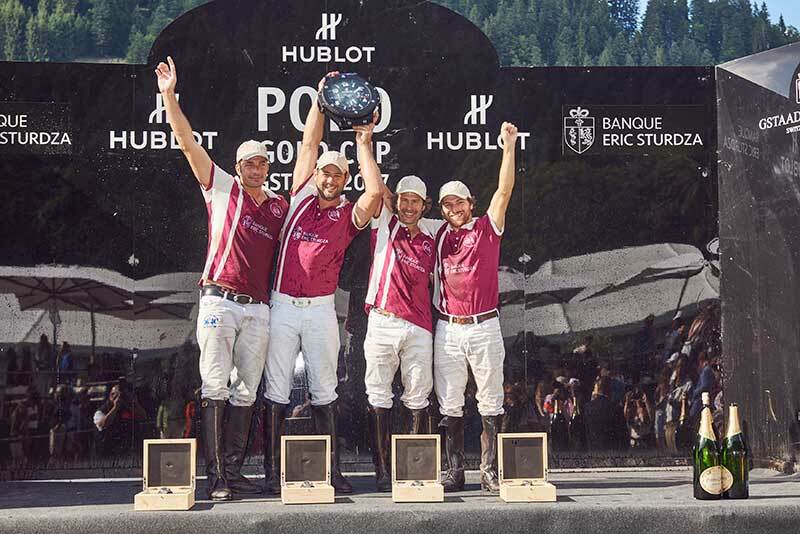 6000 spectators felt the ground shake as 16 of the top Polo players on the circuit took to the fields creating a blur of hooves and mallets, all sporting the colours of the Hublot Polo Gold Cup. 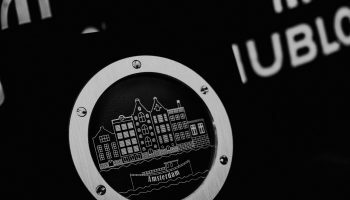 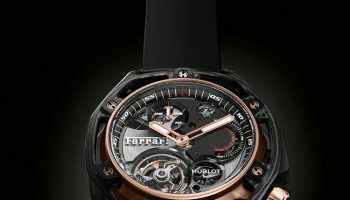 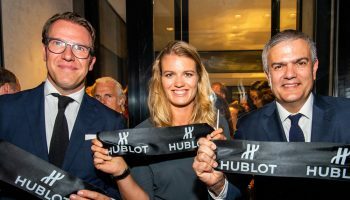 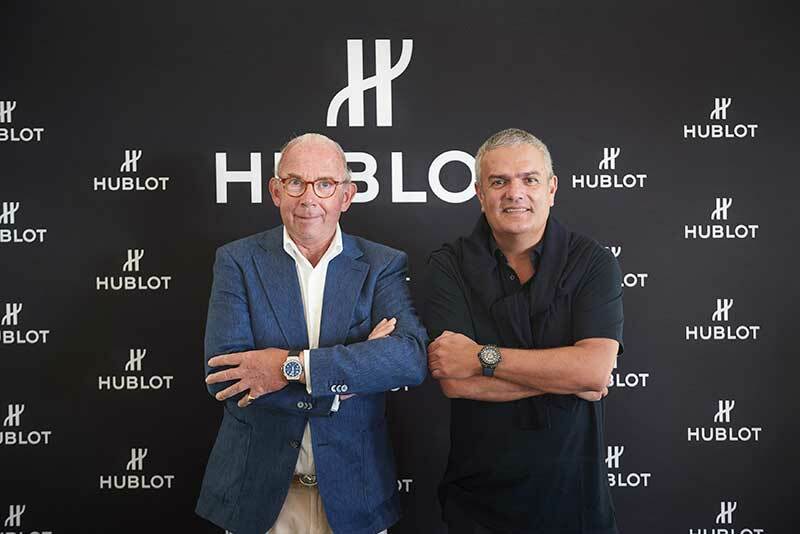 For the 9th consecutive year, Hublot’s hosts were taken on an immersive journey through the legendary world of its collaboration with the prancing horse brand, which this year celebrates its 70th anniversary. 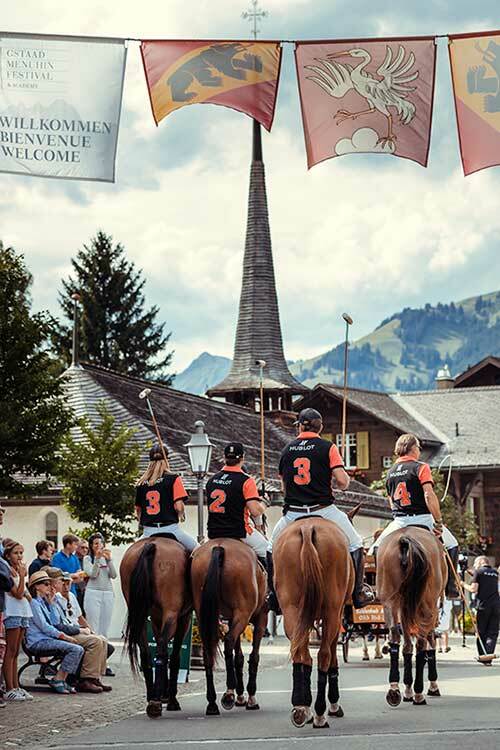 The tournament – a category 6 on the circuit – is one of the most prestigious in Europe. For the first time, it hosted four teams with a total handicap of 14 – the highest level ever played on Swiss soil. 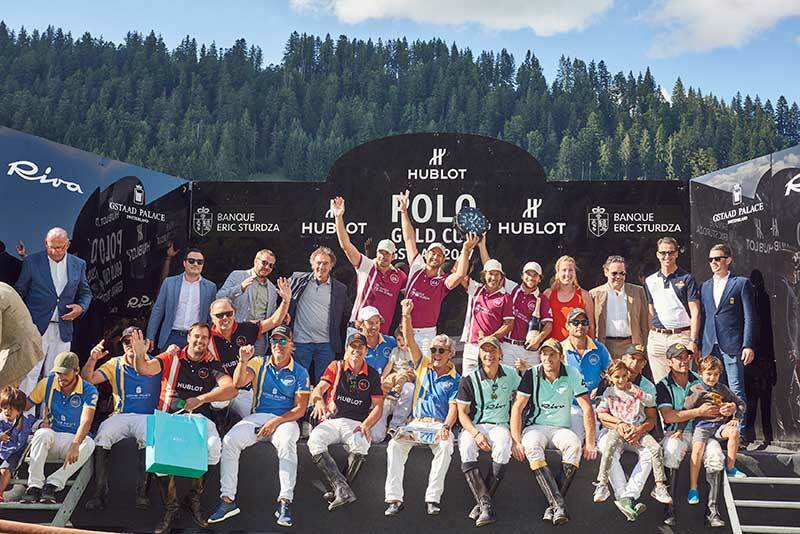 After the qualifying round on Thursday 17th August and the semi-finals on Saturday 19th August, “Banque Eric Sturdza” beat “Riva” to secure overall victory. 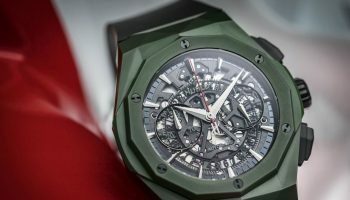 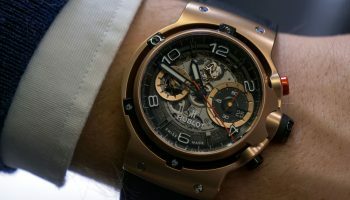 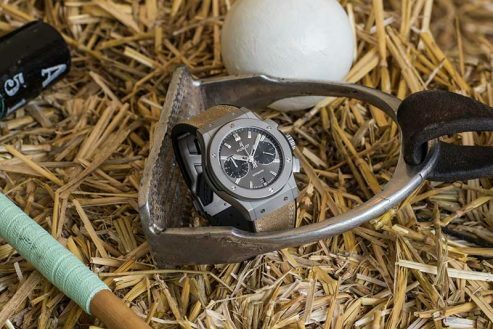 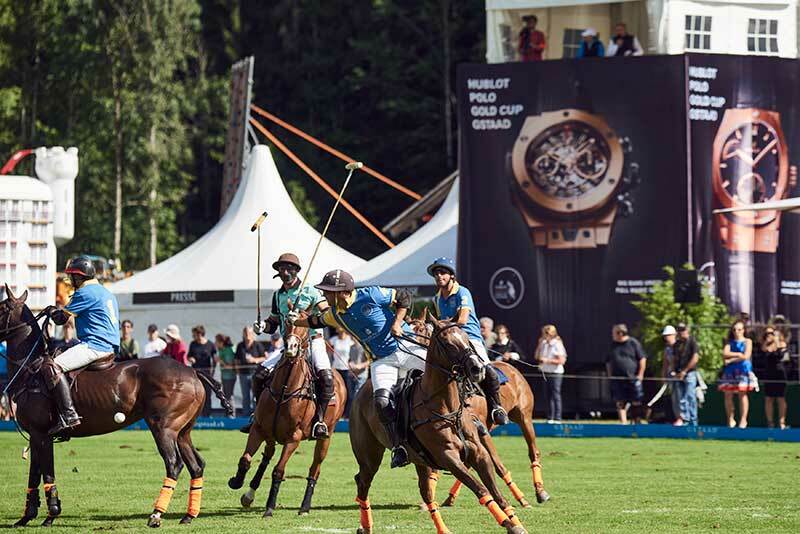 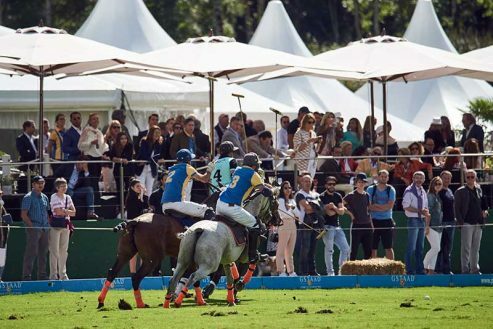 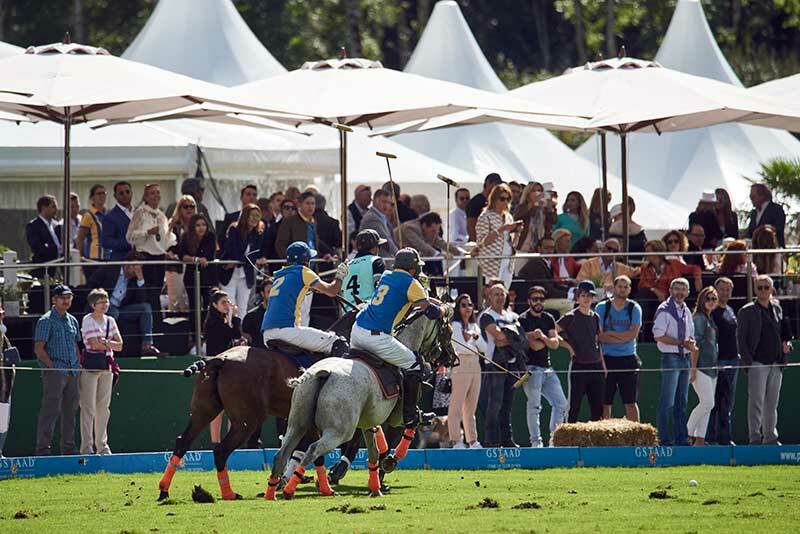 As the tournament’s Official Timekeeper, Hublot and its Classic Fusion Chronograph Chukker – a bi-compax chronograph – counted the 7.5 minutes of each of the 24 chukkers played during the competition. 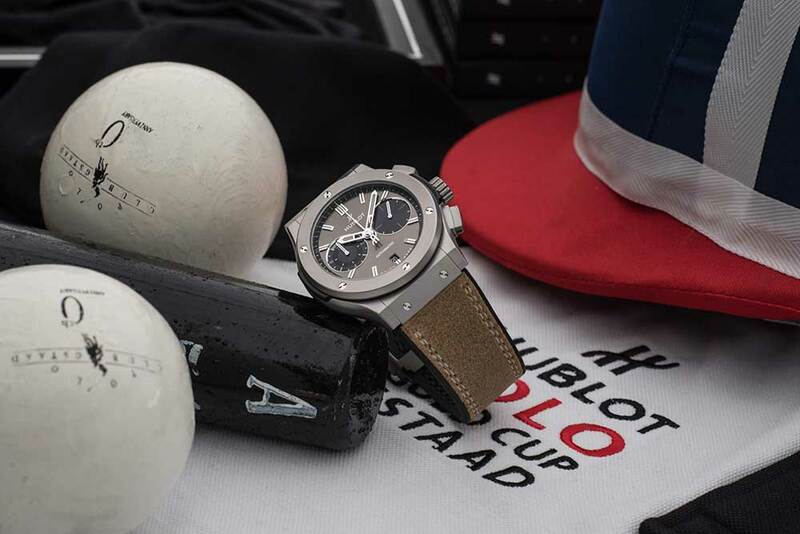 A watch designed for polo in microblasted titanium dressed in the colours of the sport of kings.